Home The Expert Interview two: Inter-dimensional, extra-terrestrial or government projects? Interview two: Inter-dimensional, extra-terrestrial or government projects? Posted about 3 years ago | Comments Off on Interview two: Inter-dimensional, extra-terrestrial or government projects? He is an author, journalist and broadcaster, who once ran the British Government’s UFO project and is now recognized as a leading authority on the unexplained, conspiracy theories and fringe science. 1) A lot of people have observed lights floating in the sky, some shaped like lines and dots; others proclaim to have observed unknown aircraft flying around visible sight – the government calls them black projects. Are such sightings real? There’s no doubt that throughout human history people have seen strange things in the sky that they were unable to identify at the time. In this sense, these sightings are undeniably “real”. That said, most sightings turn out to be miss-identifications of ordinary objects and phenomena. On occasion, people have seen secret prototype aircraft or drones, and reported them as “UFOs”, but this doesn’t happen as often as some people might think, because these so-called black projects are normally tested in remote military areas, well away from public scrutiny. 2) In 2012 Kelton Research conducted a survey commissioned by National Geographic that showed that one out of ten Americans had personally witnesses a UFO. Many cases are observed all over the world. Do people that observe these crafts, are they delusional? Do they suffer from any mental condition? A small proportion of UFO sightings are attributable to hoaxes or some sort of psychological or psychiatric factor, such as a delusion or hallucination. However, as stated previously, most sightings are miss-identifications, and in these cases, while the witnesses may not be identifying something correctly, they’re not delusional. 3) Area 51 in Nevada, nicknamed Dreamland is it really an installation run by government. How many are they? Governments all around the world run various facilities, some secret and some not secret. There are few facilities quite on the scale of Area 51, but I don’t know how many similar facilities to this exist worldwide, and I probably couldn’t say so even if I knew, as information about such sites is usually highly classified. Some UFO sightings are generated by people seeing military aircraft, but this is only one of many, many different things that cause people to report UFO sightings. The UFO phenomenon is multi-faceted, and there’s no single, neat explanation that explains all of the sightings. This is a mystery with more than one explanation. 5) We know the universe is not infinite because it continues to expand at a greater speed than light. Astronomers have plotted the dimensions of the universe composed of 4% matter, and the remaining hypothetical dark energy and dark matter. The theory of evolution holds grown in the mainstream scientific community, but mathematically wise, what are the chances of evolution occurring in other galaxies? Wherever life might arise, elsewhere in the Universe, I strongly suspect that evolution by natural selection will occur. I think this will turn out to be a ‘universal law’, in the same sense as the unalterable laws of mathematics. 6) SETI (Search for Extra Terrestrial Intelligence) has never received radio signals from outer-space that support the idea that life exist outside of planet earth. Do we have any hard evidence to back the existence of UFOs or is it based on highly speculative assumptions? We do not yet have any ‘smoking gun’ in relation to UFOs. In other words, there is no definitive proof that any sightings are attributable to extraterrestrial activity. Having said that, there are many unexplained UFO sightings with intriguing evidence in terms of reliable eyewitness testimony, radar data, and photographic and video imagery. 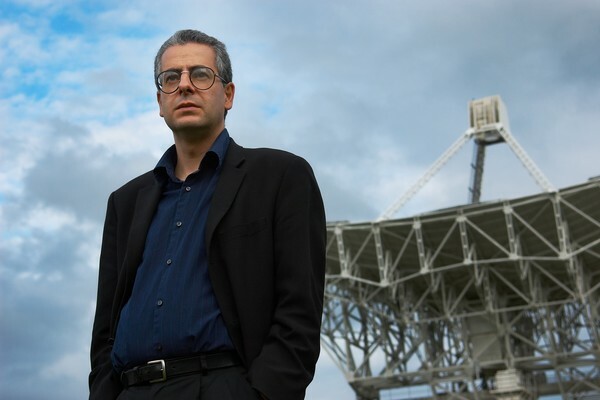 As for SETI, their search is based on sound scientific assumptions, and while they have been unsuccessful to date, there is no reason why they might not be successful in the future. Indeed, this is increasingly likely as the next generation of radio telescopes become operational. 7) There are a few problems with the ETH (extraterrestrial theory). Physics shows it is impossible for any mass composed by atoms to reach the speed of light (186.000 miles per second). Even if they reached SL travel, coming from another galaxy would take them at least two million years to get to planet earth —- the closest star system Alpha Centaury is 4.5 LY from earth and there is no evidence of life there– strangely most UFO’s observed are small and not massive showing different forms and shapes. Some estimates indicate that a space ship carrying ten people travelling five LY’s from a nearby star at almost the speed of light would use up 500.000 times the total amount of energy consumed in the US in one year; also, an equal amount of energy would be consumed just in slowing down the spacecraft from the incredible speed at which it was travelling – for larger craft like the massive spacecraft shown in the movie Independence Day, it would use an staggering amount of energy. But physicist contend that to accelerate to the actual SL it is impossible because it would require infinite energy. Also changing direction in speed at such high speeds could obliterate any spacecraft given the amount of energy required to change direction while moving. Another problem is that reaching great travel speed in space would be very dangerous. It has been estimated that there are 100.000 dust particles per-cubic meter in space. Travelling at SL, an impact with even one of these tiny dust particles would destroy a spaceship – at one-tenth the speed of light, the impact would be equal to an explosion of almost ten tons of TNT. The last problem encountered, is that if these aliens have biological bodies, in space they would be exposed by extreme heat and freezing conditions – not to mention exposure to Gamma Rays, and Cosmic Rays constantly travelling through space which could instantly kill any biological organism. So with all the examples given above, what is the likelihood of UFO’s to be of extraterrestrial origin? We should always remember that when we talk about the laws of physics, we talk about them as they are currently understood. But our understanding changes all the time as a result of the scientific process of postulating new theories and then validating them through experimentation. We see this happening, for example, at CERN. So we should be wary of saying that things are “impossible” in terms of the laws of physics. However, even if faster-than-light travel is genuinely impossible, it does not rule out the ETH, if we get away from the idea of piloted vehicles. Humans have designed and built craft (e.g. the Voyager and Pioneer probes) that will eventually traverse interstellar distances. So a civilization at only our own technological level, but which started its space program a few hundred thousand or perhaps a few million years before us (hardly inconceivable in a Universe nearly 14 billion years old), could already have seeded large parts of our galaxy with such probes. 8) Some ufologist claim that many objects observed travelling in the sky violate the laws of known physics. Objects that reach speeds of 50,000 MPH. Some objects suddenly make 90 degree turns in mid-air travelling nearly at 25,000 MPH. These object make no physical noise, and unlike aircraft or known space craft, make no sonic booms. Most of the objects cannot be picked up by radar, but some have. Sometimes show up on photographs, but other times do not. Many change colors many times only when accelerating, with virtually every color of the spectrum reported. Many times UFO’s instantly appear and disappear in front of people and they will pass through physical objects; people have also observed multiple UFO’s merged with other UFO’s, and into one UFO, and one UFO turn into many UFOs. What is your take on this? Again, this shows the multi-faceted nature of the phenomenon. We are almost certainly dealing with a variety of different things here. A few reports are completely fabricated (i.e. they are hoaxes), or the product of some sort of delusion. Others will be attributable to people seeing secret prototype aircraft or drones. But other sightings may be misidentifications of meteors, fireballs, satellites, mirages, weather balloons, or any number of other meteorological, atmospheric or astronomical phenomena. So the variety of speeds, accelerations and other factors reported does not surprise me. 9) Gordon Creighton editor of the Flying Saucer Review, and recognized as the UFO leading publication said in 1996, before he died that. “There seems to be no evidence yet that any of these crafts or beings originate from outer space” – a position later adopted by Dr. Jacques Vallee a computer scientist and astrophysics a leading expert on the subject . Do you agree? The extraterrestrial hypothesis is only one competing theory among many. Even among those people who support a non-conventional explanation for the UFO phenomenon there are competing theories, e.g. the idea that some UFO sightings may be attributable to inter-dimensional or inter-temporal phenomena of some sort. I think there’s some intriguing evidence pointing towards non-conventional explanations in some cases, but as I said previously, we don’t yet have any definitive proof. 10) There is growing speculation that UFO’s are not extraterrestrial in origin, but more likely inter-dimensional entities. Many have abandoned the ETH for the IDH hypothesis — do you agree? This is certainly a theory that is gaining popularity at present, though in a sense this theory is no more or no less speculative than the ETH. That said, with scientists at CERN discussing the search for so-called ‘hidden’ dimensions, it is tempting to remind ourselves that today’s science fiction is sometimes tomorrow’s science fact. 11) According to the “Roper poll” nearly 4 million American’s have suffered an alien abduction. Is the number of alien cited abductions growing in America and worldwide? Though well-intentioned, this Roper poll was based on some erroneous reasoning. Essentially, it was designed to identify people who had experienced a number of things previously reported by people who believe they have been abducted by aliens, e.g. a period of so-called “missing time”. But such reasoning is flawed, because there are numerous prosaic reasons why people may believe they have experienced missing time, including falling asleep, having a poor memory, or simply not being very good at estimating the time. The other factors that the poll was looking for are also ones for which there are various conventional explanations. 12) Is it true that those who been abducted claim to have had sexual experimentation, face to face contact, translucent apparitions, predictions of catastrophic events including performing tasks? Is this true or imaginary? All of these things have been reported, but we don’t know how much of this is attributable to hoaxes, dreams, hallucinations, or distorted memories caused by regression hypnosis. As with UFO sightings, while most of the claims may be made by people who genuinely believe the events happened as reported, we can’t be sure that this is what actually happened. In other words, people may be essentially truthful, but mistaken about what they have actually experienced. 13) Is it true that alien abductees are given speeches of new age philosophy by their captors? What is there message? These ‘messages’ are actually quite clichéd. Interestingly, they seem to reflect contemporary concerns popular in the media and in wider society. Currently, environmental issues are mentioned a lot, and previously, concerns seemed to be predominantly about nuclear war. This is an important clue, I think, that these ‘messages’ actually come from within ourselves, and not from extraterrestrials. 14) Many people claim that aliens ask abductees to enter a state of trance to communicate with them? Again, I think this is a clue that these experiences may come from within ourselves, and are the product of our imaginations. The idea of some form of telepathic communication is something one sees a lot in science fiction, and if abductees are reporting this, it may be that people are incorporating expectations (inspired by sci-fi) of what aliens will do into their narrative. 15) The following quotes brought by experts on the subject explain there is a strong relationship between alien abduction and poltergeist and demonic possessions in the past. – John Ankerberg, The Facts on UFOs and Other Supernatural Phenomena, p.
Others claim a smell of sulfur is present within their abduction also identical with demonic possessions and poltergeist. What is your opinion of such controversy? I’m certainly aware that some people regard UFOs as demonic, often on the basis of the Biblical description of Satan as being “the prince of the power of the air” (Ephesians 2:2). Irrespective of what one believes, I don’t think one should ignore this aspect, because as long as some people think any of this is true, it’s relevant, on the basis that one’s personal background, culture and belief system is likely to play a role in how anomalous events (or events that people believe to be anomalous) are perceived and interpreted. Personally, I’m an atheist, and I believe that it’s better to examine claims of anomalous phenomena using science and reason, not fear and superstition. Some of my answers may sound as if I’m overly skeptical about this phenomenon. While this may be the case, I should point out that I certainly don’t dismiss any of this out of hand. It’s certainly a subject that merits more serious, scientific research and investigation than is currently the case. And finally, as I often like to remind people, the skeptics have to be right every day, but the believers only have to be right once!